Some of you may know that nearly two years ago, I inherited a Schluter Cobra that had belonged to my old mentor John Haytree. It was in pretty poor condition, but I set about renovating it. The first job was to sort out the mechanics. The engine was in a very poor state, and beyond my ability to fix, so I decided to convert it to electric. but the gearbox was noisy and leaked like a sieve! I had to increase the pitch on the (fixed-pitch) blades considerably over the factory settings. The original recommendation was 4 degrees, though it wasn't clear if this was measured from the flat bottom, or through the chord (about 1.5 degrees difference). I ended up at about 7 degrees! 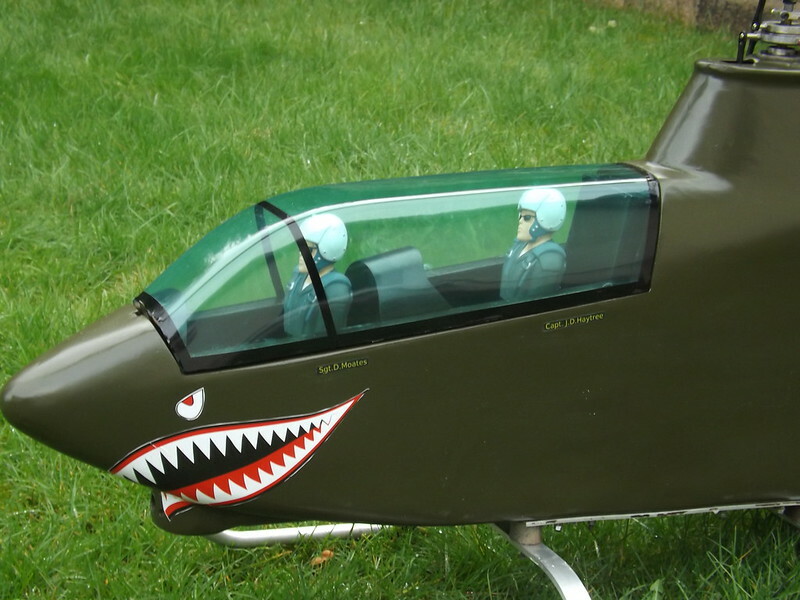 Nonetheless, it flew well enough to give it an airing at Charmouth at the end of last year - along with my newly built Schluter HeliBoy (late 70s). Even managed to get it flying in formation with Martin Briggs' machine! My intention was to completely strip it this year and renovate the fuselage. 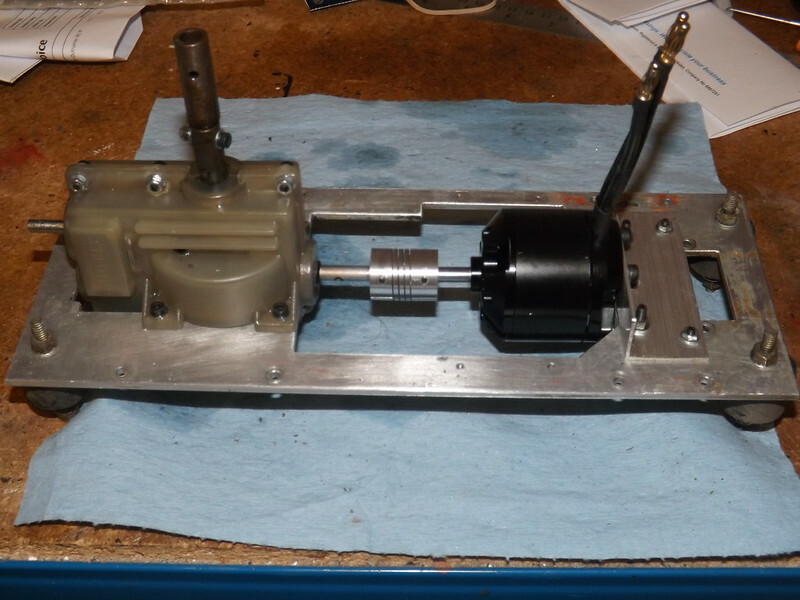 I've already rebuilt the gearbox into some new casings I managed to obtain, and fitted new bearings - and yes, it still leaks, but not as badly! However, life got in the way, and I'm only just getting round to stripping the fuselage! Whilst I've got the mechanics out, I've fitted a motor with a higher KV rating (580, up from the original 500). Hopefully this will more closely match the output of an "Old School" 61 2-stroke! The motor I'm using is from Overlander. 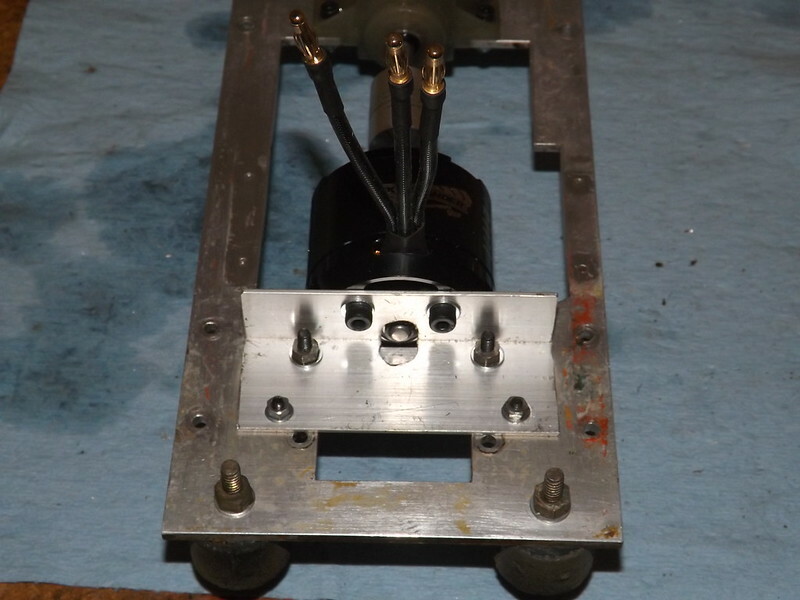 The shaft needs "reversing" so as to stick out of the revolving end of the motor, which can then be rear mounted on a couple of pieces of L-section aluminium. I've used existing mounting holes, so that in future, the mechanics could be swapped back to IC quite easily. Next job is to try and remove the many layers of paint on the fuselage, fill in the holes where the tank and exhaust poked through, and then repaint it all! Not a task that I'm looking forward to, but hopefully, the end result will merit the effort! You never know, it may even be ready for Ponty next year! That takes me back.. my second helicopter was a fly baby. 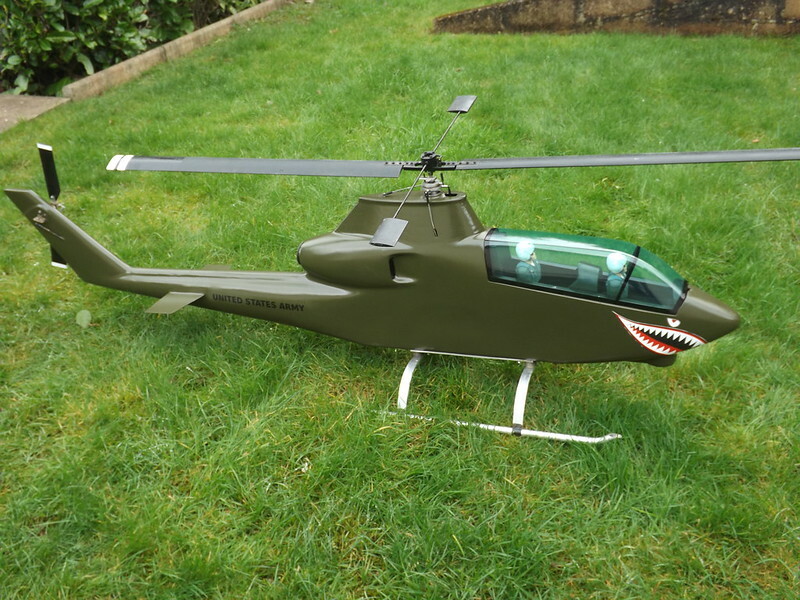 The first one nearly put me off.. it was the Morley bell57 with a self assembly paintwork tail boom and crappily part machined mechanics. Last edited by Shaun on 03 Mar 2019, 19:13, edited 1 time in total. 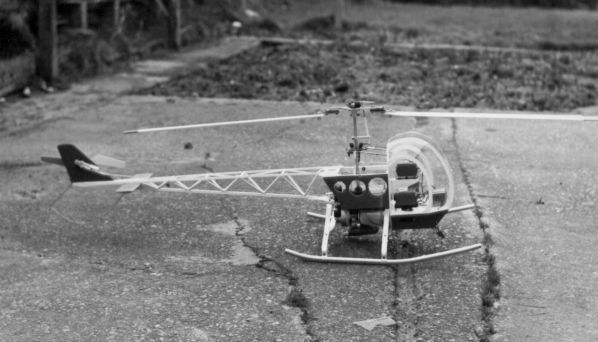 My very first heli was a Morley 2B - I think I was one of Jim's first customers! This was the predecessor to the 2C, which sounds like the one you had, and was all wood construction, other than the chassis! I had more hair then! 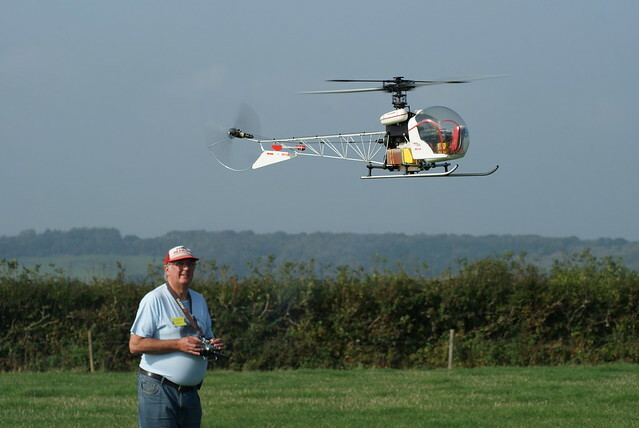 But I did learn to fly helis with it! Yes brain fart . The kit (that was a very loose description of the box of wood and chunks of metal I received) was the 2C. I then got the MFA 500 fixed pitch, followed by the Morley Bell 47. To be fair, I don't think Jim ever described the 2B or 2C as "kits", but as "plan packs". And yes, I well remember sawing the ring of iron in half to make the clutch shoes, as well as "tapping 4BA to a depth of 1" in the chassis members! My original 2B and 2C still exist! I sold them to a fellow club member decades ago. He put them in his attic, where they have remained since, and he won't sell them back to me. Otherwise, I would bring one of them to Ponty! but he won't sell me that, either! Ah, nostalgia. Way back in the 70's/early 80's I knew a member of the Colchester club by the name of Andy Belenkin(spelling?) 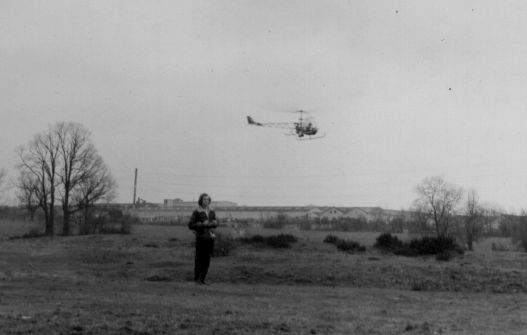 who flew a very early Bell 47 by Morley. 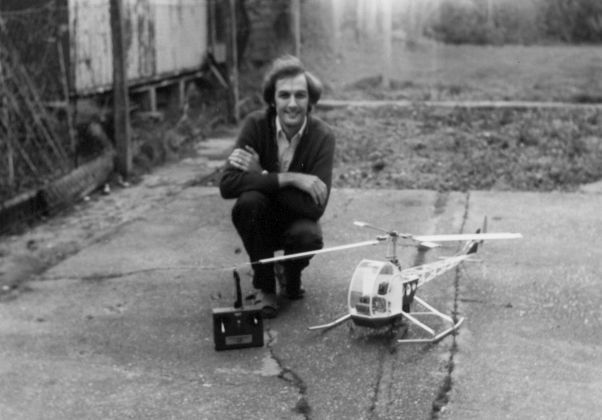 I believe, from what he said, he did some flight testing and helped Jim Morley early on. Although, he could have been just spinning a line. To the point, this made me remember that I have an un started Morley Hughes 500 still in its plain brown cardboard box buried in my bedroom hobby store somewhere. I know a couple of people who might be interested in that, if you ever think of selling! Make that three but as I would most likely crash it take me off he lost again..
My first heli was a Morley Hughes 500. I never broke anything learning to ( tail in ) hover and I used to hover a whole tank out while walking around inside Warwick racecourse. When I began circuits it was 50:50 whether I made it round or crashed. 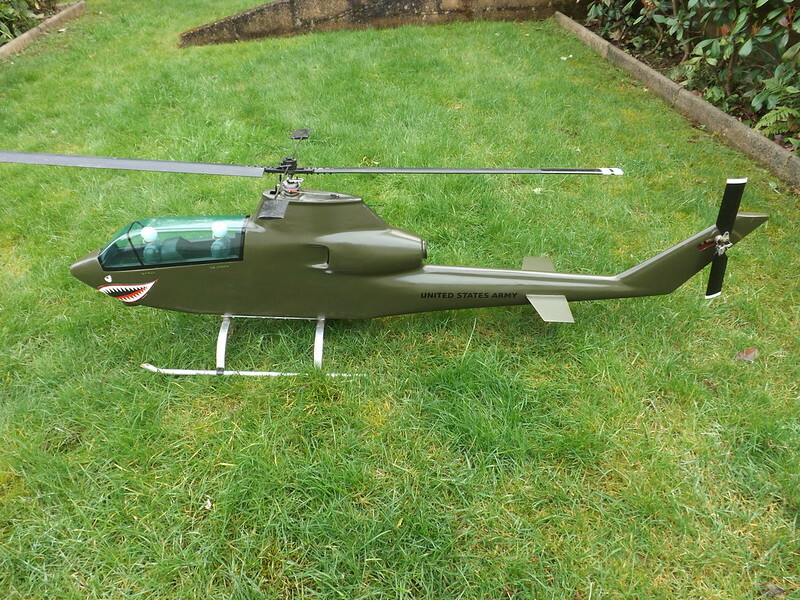 After a few crashes I bought the Morley sport model - I forget its name - and used some of the crashed 500 parts as spares for that. I still have that Morley sport, though it's not flown for many years now. Kudos on keeping these old birds airworthy Peter. I hope to watch you fly one of them next year. The scheme is based on some I found on t'internet for VietNam era Cobras. Decoration was minimal for camouflage reasons! I got the paint from a local car paint supplier. He made me up rattle cans of Olive Drab in a matt finish while I waited! The fuselage has taken too many knocks over the years to stand really close scrutiny, but from about 3 feet away, it looks fine! Next job is to reset the control links. 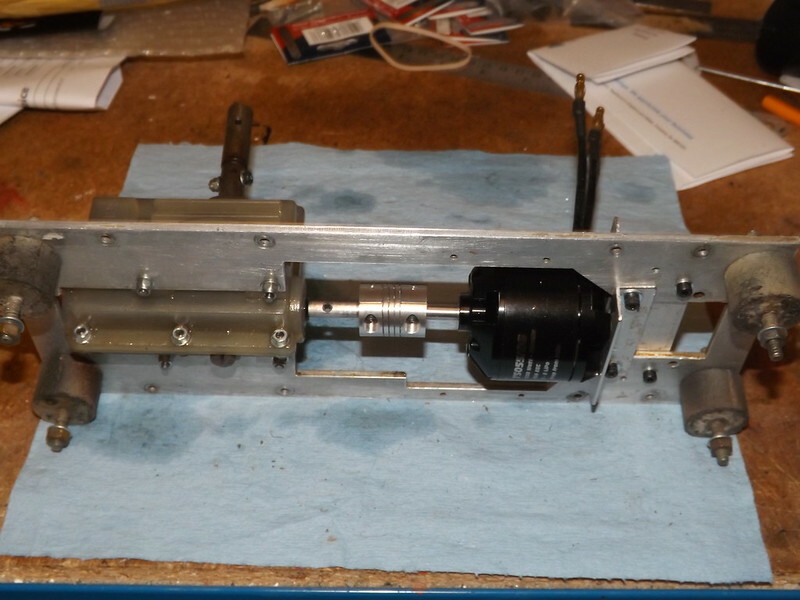 There were some spurious metal spacers under part of the chassis which I've now eliminated, so the gearbox etc is now sitting slightly higher in the fuselage. I need to do that outside in the garden, and the forecast is pouring rain and gales for the next week! Then its back to testing and trimming again. Hopefully, with the new motor, I'll be able to reduce the pitch on the blades a bit and run the head a little faster.